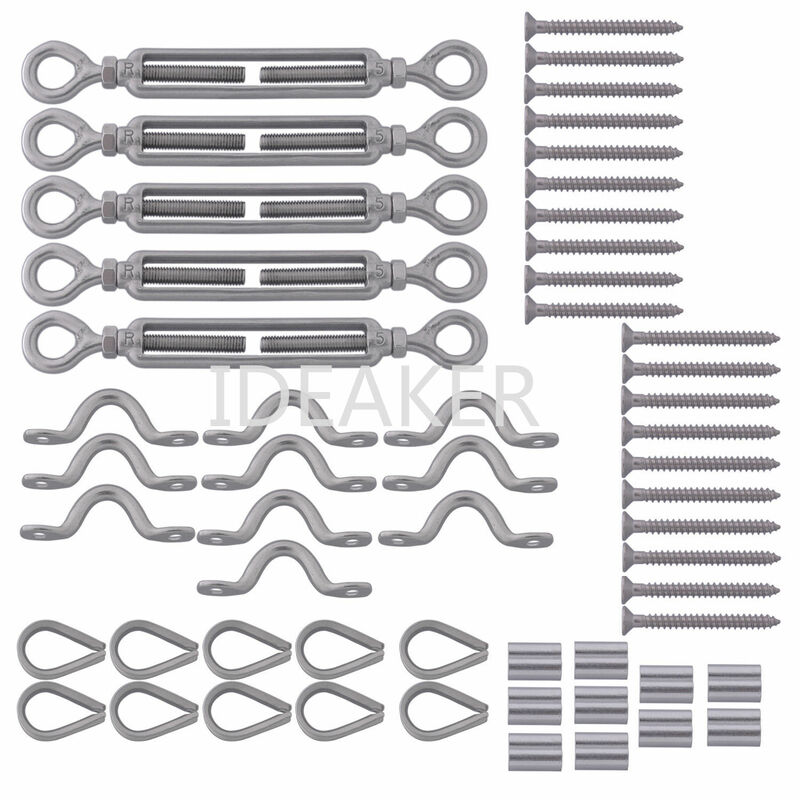 10PCS Nickel Plated Copper Swages (Ferrules) and 20PCS Self Tapping Screws Countersunk Head Phillips Drive. Use these accessories to build the railing will be easy and simple, you can make a railing for your garden, stairs and aisle, the railing will look amazing. Suitable for outdoor applications of tent rope, clotheslines, hanging outdoor lights, deck cable railing and etc.